Doctor-invented, scientifically-based, patented nutritional formula for the relief of dry eye symptoms. 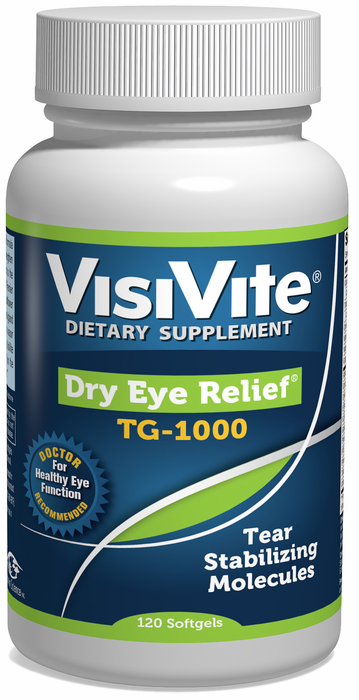 Dry Eye Relief® TG-1000 is the latest eye health supplement formulated by Dr. Paul Krawitz, President and Founder of VisiVite’s parent company, Vitamin Science, Inc. Dr. Krawitz holds United States Patent 7,638,142 for his Therapeutic Composition for the Treatment of Dry Eye Syndrome, also known as Dry Eye Relief® Tear Film Stabilization Formula, which has set the standard for natural dry eye care. 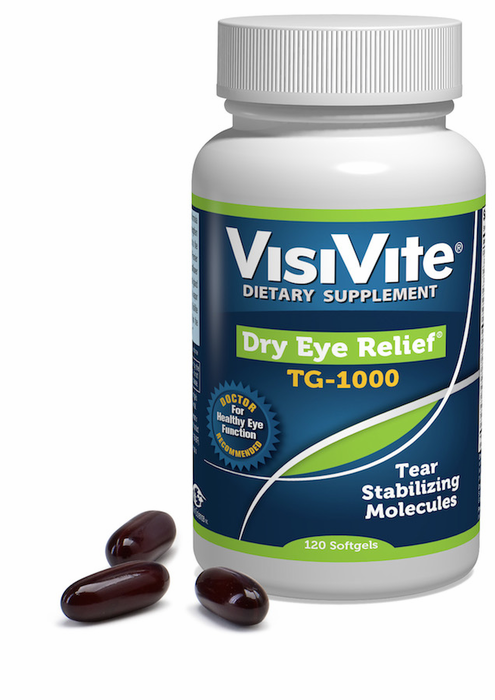 VisiVite Dry Eye Relief TG-1000 upgrades VisiVite's current Dry Eye Relief supplement with higher potencies of the preferred triglyceride [TG] form of Omega-3 fatty acids. TG Omega-3s are the natural form found in whole fish that are up to 70% more absorbable than the synthetic ethyl esters form found in most other dry eye supplements. 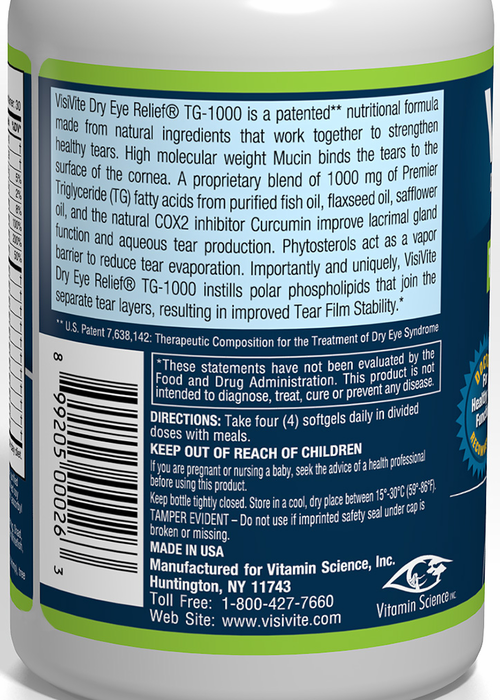 Highly bioavailable, Dry Eye Relief TG-1000 encourages peak delivery of Omega-3s to the eyes’ lacrimal glands, where they soothe inflammation while promoting healthier tear production. The eye’s surface is more complex than most people realize,” explained Dr. Krawitz. “It has an inner mucous layer, a middle aqueous layer and outer lipid layer. These layers are chemically dissimilar – they repel each other, and can be unstable. If any layer is deficient, dry eye can result… but most supplements and OTC products only address the outer layer. 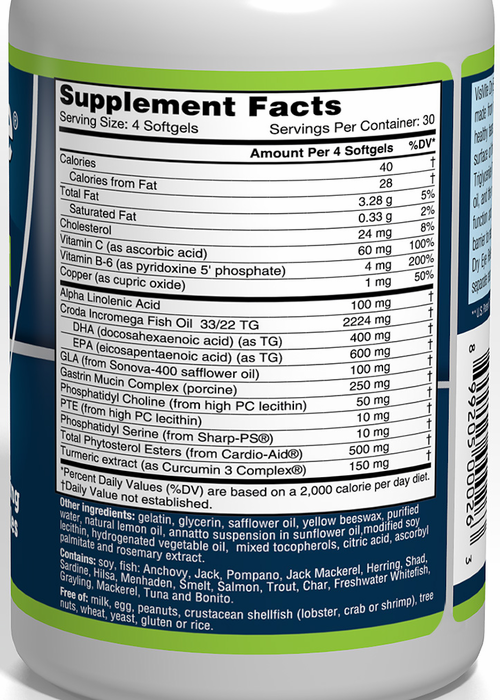 Patented dry eye supplement with pharmaceutical-grade triglyceride-form omega 3s for improved absorption and efficacy, to address lacrimal gland inflammation, plant phytosterols to replace the tear's lipid layer to reduce evaporation, large mucin molecules to assist with tears binding to the cornea, and polar phospholipids to bind and stabilize the three tear layers. Have not had to use any eye drops! Dear Dr. Krawitz, I just discovered your Dry Eye Support softgels. I've only been taking them for about 3 days and I can't believe that I have not had to use any eye drops prescribed by my opthamalogist, Restasis, Refresh, Systane, etc. I was diagnosed with dry eyes and allergies which affect my eyes. I have been taking this product for quite sometime with other eye vitamins. Alone, they provide around 65 percent of help to my eyes which were diagnosed as not producing tears. ProsEasily chewed. I have to chew all capsules/pills due to not being able to swallow whole. I've been a fan of Dr. Krawitz's dry eye formula for years. When I took it, my eyes felt better, but so did my whole body. I was a little nervous when they updated the formula, but I can honestly say that the newest version is even better. Thank you!